First off, before your visit we’d highly suggest getting a Visitor Oyster Card so you can easily use public transportation the moment you arrive in the city. We found the underground extremely simple to use (especially with the help of Google Maps). Although there are a number of different lines, they are all colour coded and well labelled. Thankfully we didn’t once find ourselves on the wrong train or going in the wrong direction. The card is also really easy to top up and check the balance at ticket machines. Once you have your Oyster card you’ll be all ready to easily get around the city. So without further ado, here are our suggestions for fun things to do and areas to explore in London! This is honestly one of our very favourite areas of London. Walk along Camden Lock and make your way to the Camden Market. While at the market be sure to grab a beer and make your way through the various food stalls. Then wind your way inside to see what all the local vendors have to offer. Camden Town also has loads of beer bars and restaurants so be sure to take some time to make your way along the streets as well. This may seem like a no brainer but we actually skipped it the first time we were in London! It’s very centrally located and HUGE! If you don’t have a whole lot of time, pick a section of the park and just walk. Or go feed the geese and ducks in the pond in the centre of the park. Wherever you go, you won’t have any issues finding incredible photo ops! We didn’t do a palace tour. 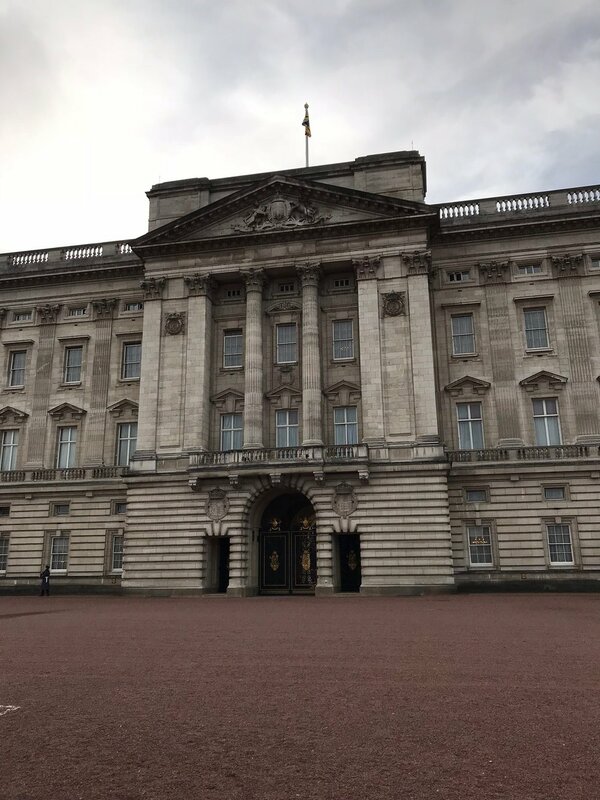 However, we did take the time to walk by Buckingham Palace to check out where the queen resides. It’s fun to see all the other travellers hanging around outside to get a photo of the iconic institution. Photo curtesy of London Perfect. 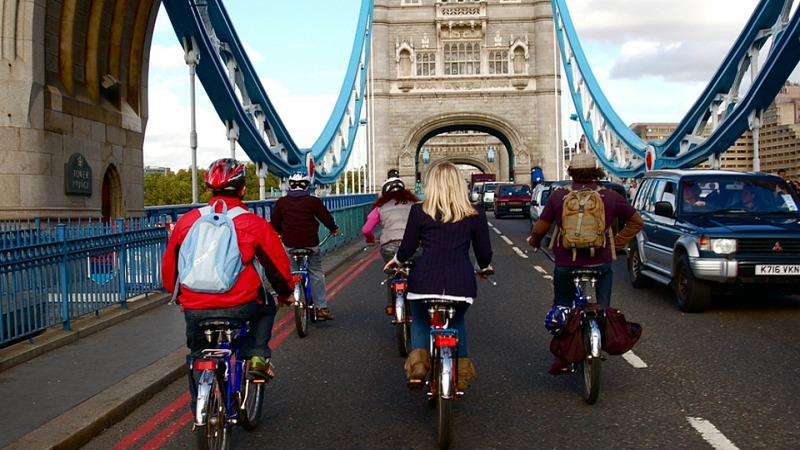 Another thing to do in London is a bike tour. Bike tours are always a great way to cover ground and see more of any city. Our friends at London Perfect offer a great tour along the Thames that takes you over the beautiful Tower Bridge. 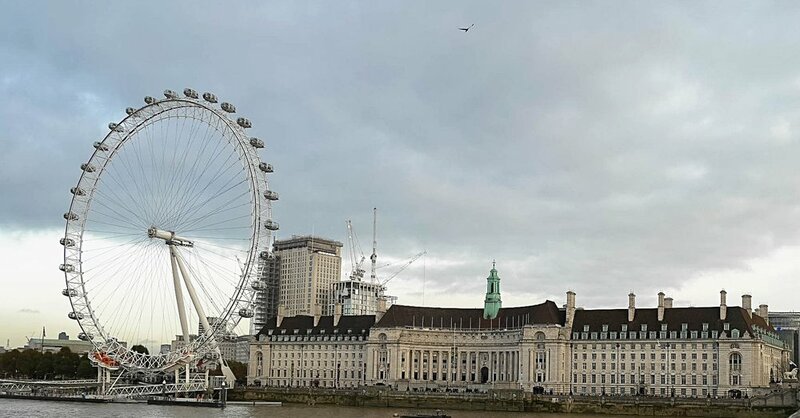 You’ll get so see some amazing sites and learn a lot about London and the River Thames you probably wouldn’t otherwise find out! Bonus- book an evening tour to enjoy golden hour along the river! Could there possibly be anything more English and posh than afternoon tea? Get dressed up and indulge at The Milestone Hotel in Kensington. Tea, scones, pastries and maybe a glass of bubbly in a beautiful environment? Sounds splendid to us! Another seriously cool area of London. This is a recently gentrified area with tons of cool shops and boutiques and some of the coolest street art you’ll find. Like Camden, Shoreditch is full of bars and restaurants, you definitely will not go hungry! London can be quite expensive. Renting an apartment not only gives you the option to make some meals for yourself but it also gives you an opportunity to really settle into one area. One of our favourite things when visiting a new city is to really integrate ourselves into a neighbourhood and live like a local would, if only for a few days. London Perfect has a variety of high end, well equipped and luxurious apartments throughout the city. We stayed in the Gordon, which had an absolutely gorgeous living room, separate bedroom, bathroom and very large kitchen which had everything we needed to cook a meal. It was located in Kensington on possibly one of the cutest streets in London that we encountered! Yes, we know this is very, very touristy. But it’s also a lot of fun and gives you some of the best views of London. To make it a little extra special we opted for the Champagne Experience, which gives you access to a private bar while you wait for your tour to start. You then get to skip all the lines and get right onboard. And while you circle around, you get to sip on champagne! Perhaps one of the prettiest cities in all of England, Bath is a must see. London Perfect not only has amazing apartments but they also offer excursions. Start your day by visiting Stonehenge and then spend the afternoon exploring Bath. Definitely take a walk along the river, visiting the Pulteney Bridge. Explore its charming streets do some shopping, and finally end the afternoon with a visit to the iconic Roman Baths. Definitely a must do when visiting London, Millennium Bridge is one of the more beautiful and unique bridges we’ve encountered in our travels. Connecting the north and south via the Thames, this pedestrian bridge offers amazing views of the city and some pretty amazing photos opportunities! This list is by no means comprehensive- there are so many options for things to do in London it could keep you busy for months! But hopefully our suggestions help narrow down your options a bit! Have your own suggestions for things to do in London? Please comment below! *This blog post was done in partnership with London Perfect, however, all opinions are our own!